Hewlett-Packard was the top scorer in Greenpeace’s 2011 Guide to Greener Electronics, scoring 5.9 out of 10, and displacing Nokia, which had scored the highest for the last three years. Overall, Greenpeace, an environmental advocate organization, noted that HP is the “strongest on sustainable operations and energy criteria.” Nokia came in second, followed by Apple. Now in its 17th edition, the Greenpeace Guide ranks 15 leading mobile phone, TV, and PC manufacturers on their environmental policies and practices for reducing their impact on the climate, producing greener products, and making their operations more environmentally sustainable. Greenpeace ranked the companies in three areas: Energy & Climate, Greener Products, and Sustainable Operations. 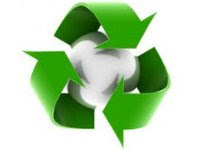 In the printer category, Greenpeace noted HP’s recycling of depleted ink cartridges, noting that HP has used more than 20,000 tons of recycled plastic resin in 760 million ink print cartridges from 2005 to 2009. HP’s goal is to use a total of 100 million pounds (45,000 tons) of recycled plastic in printers, including ink cartridges, between 2007 and 2011. Greenpeace’s Report Card on HP’s environmental initiatives and programs can be downloaded here. HP was followed by Dell, which scored 5.1 out of 10. Samsung came in seventh, scoring 4.1 out of 10, while Panasonic came in ninth, and Sharp came in 11th. The Greenpeace Guide can be accessed here. Ricoh Innovations, Inc. (RII), Ricoh's R&D subsidiary in Silicon Valley, California released a new free iPhone application called Scan Pages. Scan Pages application turns your smartphone into a mobile scanner. It organizes and cleans your mobile images using RII’s advance mobile image processing technology, and allows you to combine scanned pages in a PDF file and store in Google Docs, Evernote, Dropbox or share via E-mail. Since its release in September, 2011, Scan Pages application has gained 110,000+ users with very positive comments, such as “Simply the Best. Just tested paid apps, this one way better by quality and is easy to use”. The application has also ranked in the top 100 business apps lists of over 40 countries in the Apple App Store. Japanese OEM Epson created its first portable printer for the 1964 Olympic Games. 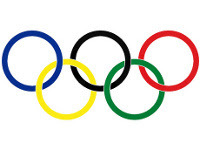 With the 2012 Olympic Games fast approaching, millions of fans around the world are looking forward to cheering their athletes on for the gold. It’s probably a safe bet that none of them are thinking about desktop printers. But as the LA Times sports blog recounts, the Olympics may have had a crucial role in the creation of the desktop printer in Japan over 50 years ago by Seiko Epson. At the 1964 Tokyo Games Suwa Seikosha Co. was given the prestigious task of becoming official timekeeper for the event, thanks to the reputation of its famous Seiko watches. A subsidiary called Shinshu Seiki Co was charged with handling the games, and debuted both new quartz timing technology and advanced LCD displays at the event. A more unexpected innovation was the creation of their first portable printer. With some scores recorded electronically, the team realized they needed a way to quickly get them onto paper, leading to the creation of a small electronic printer. While companies such as Xerox had already debuted printers, Shinshu Seiki’s machine was much smaller and easier to transport. Realizing the potential, they set about manufacturing a compact printer for wider use, resulting in the Ep-101 in 1968. The EP (Electronic Printer) proved successful, and in 1975 Epson (the “son of EP”) was born, releasing its first dot-matrix printer in 1978. Today Seiko Epson Corporation has continued in the spirit of its 1964 forbearers, as evidenced by the recent release of its “small-in-one” NX420 inkjet, one of the most compact in the market. Visit our renewed online store for high quality inkjet cartridges and printer ink supplies. Lexmark International, Inc. (NYSE: LXK) announced availability for its Lexmark Mobile Printing App for both Android and Apple iOS. * The Lexmark Mobile Printing App, which is designed for Android and Apple iOS smartphones and tablets, allows you to print from virtually anywhere directly to the Lexmark Pro715 or Pro915 all-in-one (AIO) inkjets or most Lexmark laser printers introduced since 2005. * The App makes it easy to “locate” a print device, add it to your list of preferred printers, and send pdf, tiff, or jpeg file formats for quick, on-demand printing. * Apps for Android and Apple are available for free and easy download from the Android App Store or the iTunes Store. Tablets, smartphones and cloud-based technology are changing the way small businesses and enterprises manage their day-to-day activities. For those on the go, moving between locations requires a greater need to access and produce documents anytime, anywhere with ease. In today’s unwired world, mobile technology to quickly complete tasks is a new prerequisite to doing business. The new Lexmark Mobile Printing App, which works on both Lexmark inkjet and laser compatible products, has simplified wireless printing to meet the needs of any size business. This new mobile print capability for Lexmark’s latest AIO inkjet technology, along with the Lexmark cloud-based Print Release solution announced in October, are among many Lexmark solutions designed to help small and medium businesses and enterprises be more efficient, saving them time and money. Ricoh Americas Corporation announced that Gartner placed Ricoh as a Leader in its Magic Quadrant for multifunction products (MFPs) and printers worldwide. Gartner's Magic Quadrant serves as a guide for midsize to large organizations to identify and evaluate technology providers that can match their global footprint, become their partners in helping them reduce costs and gain control of their printer fleets and help them reduce the environmental impact of the organization's print environment. According to Gartner, "Leaders are the most capable in providing MFPs (including SMFPs), printers and the associated printing solutions and services, regardless of customer location. Providers in the Leaders quadrant offer the most extensive product portfolio relative to their peers, and they have the broad channel capability to deliver the products to customers where they want to procure them. Thus, Leaders hold consistently high market share worldwide and are capable of delivering consistent service levels in the regions where Gartner customers are located. Leaders tend to have the deepest global capability and the inventiveness and resources, skills and vision to deliver superior levels of support to existing and future customers globally. Leaders have a proven track record of channeling R&D initiatives into products and solutions that customers need." Ricoh offers a complete line of network-capable MFPs and printers that print in black and white, color, or both. 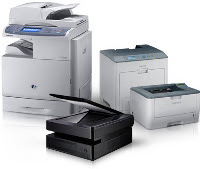 Ricoh multifunction products offer scanning, fax and copier options as well as advanced finishing capabilities. From small offices to centralized production printing environments, Ricoh MFPs and printers can help customers be more efficient and enhance productivity. "We believe Ricoh's recognition by Gartner as a Leader in the 2011 MFP Magic Quadrant continues to affirm not only the strength of our products but our genuine commitment to customers and partners around the globe who share our vision," said Shun Sato, Senior Vice President, Marketing, Ricoh Americas Corporation. "We are also very proud to be recognized for our environmental track record which is so vital to sustaining our world as well as our ability to provide the global services needed to satisfy our customers." Visit our web store for high quality Ricoh printer & MFP cartridges. For the eleventh consecutive year, Canon U.S.A., Inc., a leader in digital imaging, announced its parent company, Canon Inc., has been ranked among the top 50 of the 100 Best Global Brands for 2011 by Interbrand, the leading brand consultancy. The Company, which placed 33 for the third year running and enjoyed a two-percent increase in brand value from 2010, is ranked as one of the top electronics manufacturers and the number three overall Japanese company on the list. "This prestigious distinction reaffirms Canon's position as an innovative industry leader, dedicated to meeting the diverse needs of our customers throughout the world," said Bunji Yano, senior director and general manager, Corporate Communications, Canon U.S.A. "The Canon brand is recognized for its rich 70+ year heritage of delivering rich technology while continuing to strive to be an environmentally conscious organization." According to Interbrand, "Canon continues its leadership position in the consumer digital camera market with a stable of innovative products and a loyal customer base. In a fiercely contested category, the brand is setting itself apart from the pack through its devotion to corporate citizenship." The consultancy also recognized Canon for its environmental sustainability initiatives and product recycling programs, as guided by the Company's corporate philosophy of Kyosei. Interbrand's ranking method looks at the ongoing investment and management of a brand as a business asset, meaning its method takes into account the many ways in which a brand touches and benefits its organization. The three key aspects that contribute to the brand assessment are: the financial performance of the branded products or services; the role of the brand in a consumers' purchasing decision process; and the strength of the brand. Visit our web store for high quality Canon inkjet cartridges & Canon laser toner cartridges. GreenPrint Technologies LLC is introducing a public beta version of GreenPrint Advisor software that helps users redirect print jobs from costly or inefficient printers to more cost-effective ones. GreenPrint, which is headquartered in Portland, OR, and also has an office in Bangalore, India, makes software that enable enterprises to measure, manage, and reduce their overall print volumes and costs. Advisor is designed for use with GreenPrint Analytics software. GreenPrint Analytics is used to track print volumes and print costs. Cost per page data for the enterprise’s print fleet is imported into Advisor from Analytics’ administrative console, and allows administrators to group printers into Green, Yellow, and Red categories based on the printer's cost and efficiency attributes. Whenever a user sends a print job, Advisor pops up with a message showing a more cost-effective or efficient alternative and shows the savings possible if the job is transferred to the green printer. The user can opt to print with the green printer, or can continue printing to their inititally selected printer. GreenPrint Technologies also says Advisor can identify locally connected printers not on the network and not easily detectable by administrators. GreenPrint also markets GreenPrint preView+ software, which helps users eliminate unnecessary pages, images, and text—such as a URL printed on the last page of a document downloaded from the Web—and print selected pages in grayscale, not color. It also shows print costs for each job (cost data is provided by GreenPrint Analytics), and provides detailed individual print reports that track costs and savings over time. Design group Artefact of Seattle, WA, introduced what it’s calling a “radically simple” color ink-jet printer, the See What You Print (SWYP) concept printer that provides a 1:1 editable preview of your print job on a large color touch screen. Using the touch screen, you can crop and adjust margins using your fingers – for instance, “pinch” the image to zoom in on it - and the touch screen is calibrated to show the effects of adjusting color image quality. The result, says Artefact, is that the touch screen displays nearly exactly how printed output will appear. Artefact says it designed the SWYP concept printer to make it as easy as possible to get printouts from multiple sources, including wirelessly direct from digital cameras, mobile devices, and directly from Facebook photo streams and Flickr. The overall design focus was “a printer as a box” (it’s about the size of a ream of paper) and providing essentials only, with easy access to the paper tray and ink cartridges. The the paper tray is covered in fabric, relying on the fabric’s material properties to create a hinge; when unfolded, it becomes a rigid tray, and it folds to stow on top of the printer. There’s also no power button. Instead, closing the paper tray shuts down the printer, while opening the paper tray turns it on. Epson America, Inc., a leading provider of superior performing desktop printing solutions, announced that it will save thousands of trees annually, decrease air pollution and eliminate nearly one million pounds of solid waste per year in its recent transition to 100 percent recycled paperboard ink cartridge boxes now available where Epson inks are sold in the U.S. and Canada. All Epson packaging for consumer retail ink cartridges in the U.S. and Canada will consist of 100 percent recycled paperboard that can also be recycled when empty. By converting to recycled paperboard instead of virgin paperboard, less solid waste will be produced. In addition, by diverting fiber that would otherwise go into a landfill, the CO2 that would be emitted from decomposition of the material in a landfill is avoided, resulting in nearly one million pounds of solid waste eliminated per year. This move also eliminates the production of waste water equivalent to over 17 Olympic size swimming pools per year. Recycled paperboard is made from 100 percent recovered paper that has been diverted from the solid waste stream and collected, separated, cleaned and recycled for use. Production of the recycled paperboard uses 50 percent less energy than converting virgin grades of paperboard, resulting in a significant reduction in greenhouse gases released into the atmosphere. Visit our web store for high quality Epson inkjet cartridges & printer supplies. Printing 500 feet or 2,180 full-color pages per minute, the twin-engine device from Xerox Corporation (NYSE: XRX) efficiently creates personalized marketing, transpromo and publishing pieces. The inkjet system was tested by dmh Marketing Partners, a direct-mail company that creates more than 800 million pieces annually. By using the Xerox CiPress 500, dmh achieved consistent quality from page to page, spending less time on recalibrating the printing press and more time maximizing profitable revenue opportunities. “We are constantly looking for cutting-edge technology to drive the manufacturing process and we believe the CiPress 500 is the best technology for high-volume production,” said Randy Seberg, chief technology officer, dmh Marketing Partners. Building from its patented solid ink technology, Xerox CiPress 500 enables printing on low-cost, plain paper without ink soaking through. This – together with self-monitoring and auto-correcting production controls – results in a workhorse device reliable enough to print tens of millions of pages every month. Xerox’s FreeFlow® Print Server enhances productivity by handling complex variable jobs without sacrificing print speed. “The predictability and consistency is very high – the first sheet looks the same as sheet 500,000, which I could never say of an offset press,” added Seberg. Printers can be even more productive and efficient with Xerox’s IntegratedPlus – a new program that takes advantage of the open standards platform of Xerox FreeFlow Print Server and various industry-leading partner software solutions. 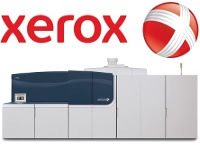 The first such offering – Xerox GMC IntegratedPlus – uses custom-designed software for the Xerox FreeFlow Print Server and CiPress 500, which delivers an extra boost of productivity. The results: consistent quality, two-way data communication, reduced labor costs and fewer opportunities for errors in a print run – all of which drive volume and revenue growth. “As the demand for color pages continues to grow, inkjet devices such as the Xerox CiPress 500 become a strategic installation – positioning printers to capture more profitable jobs and produce them in the most productive, economical way,” said Eric Armour, president, Graphic Communications Business Group, Xerox Corporation. The list price for Xerox CiPress 500 Production Inkjet System, including the Xerox FreeFlow Print Server, is $3.8 million for the base twin-engine duplex. Order taking begins immediately with installs slated for later this year. Lexmark has added a number of new SmartSolutions to its color ink-jet All-in-One series, the latter of which it had introduced two years ago. The firm’s color ink-jet All-in-Ones are designed for users in small and mid-size businesses, and is led by the flagship Platinum Pro905. SmartSolutions include touch-screen shortcuts for making everyday printing tasks—such as scanning to e-mail addresses—easier. They also provide access to Web content at the touch screen when the All-in-One is connected to the Web, so that, for instance, users can print Web content without using a PC or print driver. * Employment Forms ($29.95) – Includes employment application, offer letter, review, written warning, and termination letter. * Bill of Sales Forms ($39.95) – Includes Automobile Bill of Sale, Automobile Bill of Sale with Promissory Note, Boat Bill of Sale, Motorcycle Bill of Sale, and Bill of Sale with Warranty. * Non-Disclosure Agreement (NDA) Forms ($37.95) – Includes Mutual NDA, Employee NDA, Unilateral NDA, Business NDA, and Extension of NDA. * Landlord and Tenant Forms ($39.95) - Includes Residential Rent Application, Commercial Rent Application, Termination of Lease, Move In/Move Out Checklist, Late Payment Collection Letter, and Rent Receipt. * Business-Agreement Forms ($34.95) - Includes General Agreement, Consulting Services Agreement, Extension of Agreement, Amendment of Agreement, and Independent Contractor Agreement. All of the LegalZoom SmartSolutions are designed for compliance with U.S. laws, and are only available in the United States. Wirth Consulting evaluated the Platinum Pro905 when it was first introduced. At the touch screen, they customized two SmartSolutions, Scan and Copy. For instance, with the "Scan Expense Forms To Kathy" solution, files are scanned using pre-configured settings and automatically routed to a specified user, which is very useful for processing frequent scan jobs. With the Copy SmartSolution, you can create a one-touch key that activates a collection of pre-defined copy-job settings, such as draft, duplex, portrait orientation, etc. A new free SmartSolution is Envelope Wizard, which greatly simplifies the typically tricky task of printing on envelopes. At the Lexmark All-in-One’s touch screen, select the Envelope Wizard icon, specify the size of the envelope you’re printing on, and then enter the destination address and return address. The system remembers your return address, so you won’t have to re-enter it in the future. With the free Xambox SmartSolution, select the Xambox icon on the touch screen, then scan your documents to your free account on Xambox, a Cloud-based document storage site. The Xambox app also adds OCRing, so that your document will be converted into editable text, and indexed for easy retrieval by keyword. For those addicted to Twitter feeds, the free Twitter SmartSolution enables you to view real-time Tweets from people you follow on Twitter on the Lexmark All-in-One’s touch screen. If you don’t have a Twitter account, you can use Twitter Search to search for any subject or term and then see what others are saying about it on Twitter. Similarly, the free Facebook SmartSolution allows you to view Facebook news feeds, wall posts, comments and pictures on the touch screen. Users can also print pictures from their albums and feeds directly from the touch screen, without using a PC and print driver. SmartSolutions can be accessed and purchased at Lexmark’s SmartSolution Center. Hewlett-Packard / HP has announced printer driver support for OS X Lion, Apple’s new operating system for the Mac. The firm says it worked with Apple to provide Mac users with support for more than 1,300 HP peripherals, as well as and scan-driver support for most of its newer All-in-Ones. For Mac users upgrading to Lion, current HP drivers will continue to work. Users with a new Mac running Lion can automatically download HP’s latest print, scan and utility software through Apple Software Update. More information is available here and here. Epson has just introduced the first two members of its fall product lineup, the Artisan 837 and 730 color ink-jet All-in-Ones for home and home-office users. 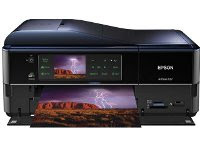 Earlier in July, Wirth Consulting visited with Epson executives at a midtown-Manhattan analyst and press event to preview the new All-in-Ones, as well as other not-yet-announced ink-jet systems. While the other new members of Epson’s fall product line are still under non-disclosure, one bit of information we can share is that the firm will definitely be expanding to play in the higher-volume ink-jet segment. Upgrades to the new Artisan 836 and 730 include a much brighter green touch panel panel with 2.5” color LCD; the brighter LEDs make it operate the touch panel. And, in a departure from the black that seems to have become the norm, the units feature a midnight-blue chassis; both re-designs make for a striking appearance. * The free Epson iPrint app is for mobile printing from Apple iPhone, iPad, and iPad touch mobile devices. Users can print Web pages, Microsoft Office documents, photos, and Adobe PDFs. They can also use the Artisan to scan to their Apple mobile devices, and then e-mail the document, upload it to a Cloud document-storage and sharing site such Dropbox or Google Docs, etc. * The PriApps Mobile Print app is $9.99 and is for printing from BlackBerry smartphones. Both Artisans are the same except that the flagship Artisan 837 ($299.99) also provides color fax, PC fax, and 30-sheet automatic document feeder. The Artisan 730 provides flatbed platen scanning only (no document feeder). * Wireless Wi-Fi Certified n2 and Ethernet networking. * Rated ISO print speeds of 9.6 (black)/9.1 color. Duplex ISO print speed is at 4.9 (black)/4.7 (color) ppm color. Print 4"x6" photos in as fast as 10 seconds. * Automatic duplex printing, and two paper trays. Print on ink-jet printable CDs/DVDs. * Auto Photo Correction software. * Individual ink cartridges that are available in both standard and high-capacity sizes. * Both units are Energy Star-qualified and comply with RoHS standards. Xerox’s Global Imaging Systems has acquired another independent reseller, Bennett’s Business Systems, Inc., of Jacksonville, FL, which is an independent distributor of Canon and Hewlett-Packard digital copiers, printers, and MFPs. Bennett’s Business Systems will immediately begin offering Xerox’s full range of office-imaging systems. Bennett’s, which has locations in Jacksonville, Orlando and Tallahassee, will also become part of Saxon Business Systems, Inc. a Global Imaging Systems company that’s headquartered in Miami Lakes, FL. * In July, acquired Xerographic Solutions, Inc., which in based in Rochester, NY, and provides managed print and network services. * Also in July, acquired Miller Technology Solutions, Inc., which is based in Virginia, and is a managed services company specializing in financial IT services. * In May, acquired Midwest Business Solutions, Inc. of Des Moines, IO, and is an independent distributor of copiers, printers and MFPs, and which now markets Xerox office-imaging systems. * In April acquired Premier Office Equipment, Inc., one of Iowa’s largest office-equipment dealers. * Also in April, acquired the assets of United Business Solutions of Addison, IL. United Business Solutions is an independent distributor of copiers, printers and MFPs, and provides document-management and software solutions to businesses in the Chicago area. Altogether, since Global Imaging was acquired by Xerox in 2007 as a wholly owned subsidiary, it has acquired some 18 independent office-imaging providers as part of Xerox’s strategy to create a nationwide network of locally based providers of imaging systems and network-integration services for small and mid-size businesses. Visit our web store for high quality Xerox copier cartridges & printer supplies. The promise is that you can cut your toner and ink costs without affecting your printed image quality. While virtually anyone can do this just by using their print-driver’s draft mode, the problem with draft mode is that because less toner or ink is used, text and images appear lighter and less distinct—essentially because the printer’s dpi resolution has been dropped, typically from 600 to just 300 dots per inch (dpi). While draft mode is a good way to cut costs when used for in-house and draft documents, draft-mode image quality may not be acceptable for finals and documents sent outside the enterprise. Enter Preton Ltd., an Israeli-based company that promises its toner-save software reduces the amount of toner or ink applied to the document, but without degrading image quality, and saving up to 25 to 50 percent in toner costs. The company recently announced a partnership with Pharos Systems, a Rochester, NY, firm that markets its Blueprint Enterprise software for managing printers and reducing print costs. Under the partnership, Pharos is incorporating Preton’s toner-save technology and printer-management software, called PretonSaver, into Pharos’ BluePrint Enterprise software. PretonSaver provides the toner-saving software, as well as device identification and monitoring across the enterprise, usage reports, and page coverage, as well print policies, the last of which, for instance, enables administrators to enforce cost-saving print rules, such as forcing users to print in two-sided duplex mode. How does Preton’s toner-save technology—called Pixel Optimizer—work? Preton says that the software, using advanced mathematical algorithms, is able to identify unnecessary use of toner or ink, and then stops it from being applied to the paper. Because the software prevents only application of unnecessary toner, image quality is said to be unaffected. Specifically, the software addresses a fact of computer printing: images and text displayed on the computer monitor are composed of pixels that are square. However, in order to describe this date on a page, the printer must use circular pixels (dots) of toner or ink, not squares. 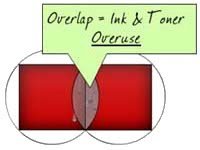 Because the printer forms a circle, it applies the dot of toner or ink outside of the square, resulting in toner or ink waste, as the figure to the right shows. What Pixel Optimizer software does is identify overlapped pixels, and prevents the printer from applying more ink or toner. Preton says the spaces left by the removed pixels are covered by excess toner or ink from adjacent pixels. Preton says its technology goes further by identifying different elements on a page such as text, pictures, or graphics, which it says are affected differently by the removal of pixels. Text image quality is effected the least for up to 50-percent savings according to Preton. However, pixel-removal can more negatively affect graphics and photographs’ image quality. Consequently, the software is programmed to intelligently identify graphics and photos and removes fewer pixels, so that toner or ink saved when printing graphics and photos is less—from 20 to 30 percent. Preton is offering a free trial download of its toner/ink-saving software for home users is available here. Pharos’ Blueprint software bundled with the Pixel Optimizer technology is available through Pharos Systems’ worldwide network of sales personnel. * Hard-Drive Encryption - The hard drive encryption setting is a 20-character alphanumeric key that encrypts the entire contents of the hard drive. This feature uses real-time 128-bit AES encryption algorithms and provides the highest level of protection if the hard drive is removed from a bizhub MFP and an unauthorized user attempts to extract its data. * Hard-Drive Lock Password – Electronically locks password-protection to the hard drive via a 20-digit alphanumeric password. The password is applied directly to the BIOS of the hard drive, and prevents access to data stored in the hard drive. This also protects the hard drive from unauthorized access if it’s removed or switched to another bizhub MFP. * Automatic Deletion of Temporary Image Data – With this feature, files stored in both private and public User Boxes in hard-drive memory are automatically deleted according to a pre-set schedule. Files stored in system boxes, such as a secure print box or encrypted Adobe PDF print box, can also be automatically deleted based on a pre-set schedule. The customer selects how long files remain in User Boxes before they are automatically deleted. * Data Overwrite of Electronic Documents on a Timed Basis – Customers can also erase the temporary data recorded by the hard drive every time a job is processed by enabling Temporary Data Overwrite. This feature automatically overwrites each completed job, deleting it from the hard drive and leaving no trace of its data anywhere in the system. It uses either one-time overwrite or three-time overwrite in compliance with U.S. Department of Defense standards. According to Konica Minolta, bizhub MFP security systems are independently certified to the ISO 15408 Data security standard established by the Common Criteria for Information Technology Security Evaluation, and the entire system architecture of the MFP is certified, not just particular components. Lexmark has released print drivers for use with Apple’s latest operating system, Mac OS X Lion, which has just been released. More than 150 Lexmark printer drivers are available for download via Apple’s Software Update utility. The Lexmark compatibility page lists all Lexmark printer that support Mac OS X Lion, and also shows users where they can find drivers for their specific printer model. Set up on Mac OS X Lion requires two basic steps: Install Mac OS X 10.7 printer drivers and Set up print/fax queue. Canon U.S.A., Inc., a leader in digital imaging, announced the results of an aggressive office energy savings program conducted in five U.S. office locations, including its Lake Success headquarters, resulting in reported savings of 2.7 million kilowatt-hours of energy from 2009 through 2010. Initially conceived in 2008, the energy-saving steps implemented across the five locations is equal to approximately $300,000 in utility fees over the two-year period, saving enough energy to power its Lake Success headquarters for four months. As part of its ongoing commitment to environmental sustainability, the Company examined its energy practices at four U.S. regional office locations -- Itasca, IL, Irving, TX, Jamesburg, NJ, and Irvine, CA, as well as its Lake Success, NY headquarters-- to uncover areas where energy consumption could be improved, and implemented strategies to reduce consumption. Additionally, the Company expanded the scope of its environmental training to cover energy and resource consumption in the office, and to increase awareness of techniques that reduce energy, paper, toner and other materials. 1. Energy-Efficient Lighting: Canon U.S.A. installed high-efficiency, low-carbon lighting, replacing thousands of light bulbs throughout its U.S. offices. The company also installed automatic switches that rely on motion sensors that switch off if a room is not in use. Select lighting was also removed, deactivated and/or reduced altogether in areas near sources of natural light (windows) and low-traffic areas (hallways). 2. New Computer Screens: The Company replaced more than 4,000 cathode ray tube computer screens in its offices with energy efficient LCD monitors. Outgoing monitors were donated to local schools and charities, limiting waste and extending use of the products. 3. Energy Efficient Document Management: More than 550 personal printers were removed from service, and replaced with imageRUNNER and imageRUNNER ADVANCE multifunction devices. Canon installed uniFLOW printing software to manage its fleet of document output devices, a strategy the Company recommends to its own customers. Among a variety of workflow enhancing capabilities, uniFLOW has the ability to route print jobs to the most energy-efficient printer available, determined by establishing a baseline of energy consumption that measures paper, toner and power use of printers on the network. In 2010, the company saved more than 1.6 million sheets of paper by using duplex printing. 4. Operational Management Efficiencies: Canon limits the hours that its buildings are lit during the business week; staff staying late or working on weekends need to inform facilities if lighting is needed beyond allotted 'lit hours.' Unnecessary lights are automatically turned off after-hours based on the use of motion detectors in some areas. "With such a strong commitment to environmental sustainability, the team at Canon U.S.A. is inspired to be green by implementing stringent measures to save energy and minimize our environmental footprint," said Joe Adachi, president and chief executive officer, Canon U.S.A., Inc. "We are happy to share our experiences and strategies for energy savings, to show others that taking measures to go green and protect the environment for future generations can have an enormous impact, both at home and in the office." Canon U.S.A. is an ardent supporter of environmental and community enrichment campaigns. For years, Canon U.S.A. has supported a variety of programs, including the Canon Envirothon, Yellowstone Foundation, PBS/Nature Series and the Arbor Day Foundation. Canon works in voluntary partnership with the Environmental Protection Agency (EPA) to design products that meet the high standards of its ENERGY STAR® program. Similarly, Canon collaborates with the EPA's WasteWise and SmartWay Transportation Partnerships to reduce the impact of our municipal solid waste and transportation activities. As one of the first companies to collect and recycle used copier toner cartridges, Canon U.S.A.'s Generation Green initiative combines the company's latest environmentally-friendly printer products and solutions, promoting paper saving technology, minimized product packaging and energy saving measures. More than 800 Canon sites, including those in Canon U.S.A., are certified to the ISO 14001 standard. This internationally recognized standard provides organizations with a framework for developing effective Environmental Management Systems (EMSs). Toshiba America Business Solutions (TABS) has joined the Cortado Cloud Printing Alliance, as part of its strategy for secure, wireless mobile printing from mobile devices such as Apple iPad and iPhone, Blackberry, Android and Symbian mobile devices. The Cloud Printing Alliance was founded by Cortado, a division of ThinPrint AG, together with printer and Wi-Fi router manufacturers, Hot Spot providers, software developers, and mobile operators. The goal of the alliance is to work together to make on-demand mobile printing easy from any device and at any location. Current printer vendors who are members include Brother, Eastman Kodak, Konica Minolta, Kyocera Mita, Lexmark, Oki Printing Solutions, and now Toshiba. With Cortado’s cloud-printing solution, documents can be stored in the cloud (using cloud services such as Box.net, Google Docs, etc. ), and then printed from smartphones and tablets to any Wi-Fi or Bluetooth connected printer, regardless of device, printer or file type. Cortado says its solutions supports “thousands of printer models from over 90 printer manufacturers worldwide,” and that it currently hosts more than 5,000 print drivers, with the number of print drivers it supports “constantly updated and expanded.” It says, however, that “printers most suitable for printing” are those marketed by Cloud Printing Alliance manufacturers. Recommended printers from Cloud Printing Alliance manufacturers display a “Cortado Cloud Printing Ready” logo. The Cortado solution includes the Cortado Workplace app, which provides 2 GB of online storage, and can be set up for free when users install the Cortado Workplace app on mobile devices. It provides round-the-clock access to files and documents with wireless mobile cloud printing, regardless of the file type or user’s access to a PC. The user simply logs on with their Web-enabled mobile device and can use any installed imaging device. The drivers required to print are stored within the Cortado Hosting Center. While it is possible that some of the upward price pressure is due to raw material shortages stemming form the earthquake in Japan, this is certainly not the only contributing factor. Printer OEMs have been facing rising production and raw material costs for some time now, well before the earthquake occurred. One reason is volatility in the price of oil. Oil prices are down a bit this month, but the price of crude oil is up about 20 percent compared with last year. Cartridge casings, carbon black, and other key components in both ink and toner cartridges are petro-chemical based, so higher oil prices put pressure on OEMs to raise supplies prices. The industry saw most printer OEMs and even some remanufacturers raise supplies prices in late 2008 and early 2009 when oil prices reached record highs. 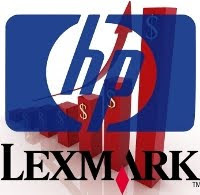 HP is not alone in feeling the need to protect its margins by increasing pricing. Recently, The Recycler reported that Sun Chemical has raised prices for some ink prices, citing increases in raw material costs. The company issued separate announcements increasing prices in North America on June 3 and in Europe on June 16. Sun cited “an unrelenting elevation of costs on raw materials,” stemming from reduced capacity and increased demand. Sun Chemical also raised prices in February of this year citing similar factors. It will be interesting to see if this is the extent of the price increases for HP or if it is a harbinger of more prices increases to come. Supplies price increases might prove devastating for an industry looking to drive print volumes again following a recession and the increased popularity of the many electronic alternatives to traditional print media. Visit our web store for high quality HP ink cartridges & inkjet printer supplies. Lexmark International, Inc. recently became the manufacturer of choice for a national workgroup and color laser printer bid sourced by the U.S. Department of Veterans Affairs (VA). The contract calls for the potential placement of more than 20,000 Lexmark E, T and C Series workgroup monochrome and color laser printers throughout 260 VA locations, including outpatient clinics in the U.S., within the next 90 to 120 days. The contract is expected to help the VA achieve more than $15 million in savings in relation to standard purchasing costs. The award is the first national printer bid sourced by the VA. Previously, the VA sourced its printers regionally with awards made independently by each specific Veterans Integrated Service Network (VISN), Region, or Medical Center. This national award will help standardize the entire agency with Lexmark, eliminating the challenges associated with deploying, managing and maintaining a multi-vendor fleet of printing devices. The national award also meets the VA's need for workgroup monochrome and color laser printers that align with its strategic goals of reducing costs and environmental impact. The contract also supports the VA's need to ensure the accuracy and completeness of its information resources, reduce the complexity of its IT infrastructure, and optimize the efficiency of its business processes. The winning VA bid was awarded directly to Alvarez & Associates, LLC, a Washington, D.C.-based information technology and executive management services company. Alvarez & Associates is a Lexmark partner and a 100 percent Service Disabled Veteran Owned /Small Business (SDVO/SB) that provides intellect, analysis, technology and counsel to government agencies. "Lexmark is proud to support the vital mission of Veterans Affairs," said Marty Canning, Lexmark executive vice president and president of Imaging Solutions and Services. "Lexmark Government Solutions provides products, services and solutions that enable agencies to manage their data and documents more efficiently and securely while lowering costs and better meeting their output needs. "Lexmark's wide range of laser printers deployed across these locations will help support the critical care services that are delivered to our military veterans and their families," added Canning. "The joint efforts of the Alvarez and Lexmark teams and the quality Lexmark printers that meet the specific needs of the VA were the key components in achieving this important contract," stated Kirk Hanson, executive vice president and general manager for Alvarez & Associates. Visit our web store for high quality Lexmark inkjet cartridges & Lexmark laser toner cartridges. Epson's long term strategy in the printing market is to provide a complete range of inkjet solutions to cover all the five major segments, potentially replacing lasers in the process, ITProPortal can exclusively reveal. Rob Clark, Executive Director of Marketing at Epson Europe, told ITProPortal.com that Epson is pushing for inkjets to gradually move up the market towards the small & medium enterprise segments and ultimately invading the corporate sector. This however, he conceded, is going to be a very long term endeavour and partly explains why Epson is ploughing seven per cent of its annual revenue into research and development. Clark said that Epson will capitalise on its proprietary piezoelectric inkjet technology which is radically different from other inkjet printing technologies and which the company believes can help it deliver a complete portfolio of products to match market demands. A little known fact is that Epson, like some of its competitors, doesn't own the IP to the fundamental parts of a laser printer. Instead it uses third party technology for its laser printers which prevents it from differentiating itself fully from the rest of the market. Becoming an inkjet-only manufacturer would provide the printing industry with a compelling alternative to laser at the upper end of the spectrum. Owning the technology is critical for Epson which is why Clark confirmed that Epson UK will stick to its current range of products - projectors, printers and scanners. No cameras, tablets, netbooks, computers and smartphones coming our way. Epson introduced its first piezoelectric printer back in 1993 with the Epson MJ500 followed by the Stylus Color and with the latest range of Epson printers - the Workforce Pro - being launched in September 2011, Epson will hope that it helps push its printer range to the next level. Targeting both micro and small businesses, the Workforce Pro uses the same base unit and printer engine and adds different functionalities (scanning, Wi-Fi, a touchscreen display, duplex printing, faxing & copying) to suit the diverse demands of the market. In addition, Epson's printer designers have been very attentive to details. Workforce Pro printers for the small businesses will be white which, we were told, reduces lighting requirements (and associated costs) in an office environment. The Workforce Pro products are built to look like laser printers; big, solid, sturdy and reassuringly heavy with massive cartridges that, Epson says, will help halve the cost of printing per page. Visit our web store for high quality Epson inkjet cartridges & Epson printer supplies. According to the Small Business Administration (SBA), small businesses create 60-80 percent of all new jobs in the country and more than half of Americans now either own or work for a small business. During National Small Business Week (May 16 – 20), government officials are gathering in Washington, D.C., to acknowledge and celebrate the contributions that small businesses and the entrepreneurs who run them make to the economic well-being of America. In conjunction with Small Business Week and as part of its continuing efforts to support small businesses, Cartridge World has announced the results of a first-of-its-kind office managers survey. The survey of office managers nationwide revealed that a majority are enduring increased stress in the workplace. Indicating the need to accomplish more with less time and fewer resources, 79 percent of office managers told Cartridge World that in the past two years their job responsibilities have increased. Meanwhile, a third (34 percent) of respondents said they are working with decreased budgets compared to two years ago. With the vast majority of office managers, over 86 percent responsible for office supply purchasing decisions, Cartridge World aims to help them operate more cost-effectively and to relieve their workplace stress. But beyond simply saving money on the products they use most, the survey revealed additional pressures that impact the office manager on the job. The survey also revealed an increased focus on the bottom line, with 62 percent of respondents citing the need to find the best supplies at the lowest price among their top job concerns. Of this group, 73 percent of respondents stated that they would switch to remanufactured cartridges if they saved money while 71 percent of respondents cited cost savings as the number one benefit to using remanufactured cartridges. During the week of March 21, nearly 400 office managers responded to an online survey of managers nationwide. Commissioned by Cartridge World, the survey asked office managers about their job responsibilities and office supply buying behaviors. Hewlett Packard / HP announced new imaging and printing solutions and devices designed to help small and midsize businesses (SMBs) and enterprise organizations enhance employee productivity, both in the office and on the go. By making strategic decisions about their imaging and printing investments – including streamlining paper-intense processes – businesses can improve office efficiencies and uncover new revenue streams. * Expanding HP solutions suitable for the enterprise but scaled for SMBs and delivered by channel solutions partners. * Introduction of strategic technology partners Hyland Software and Nuance as well as new workflow solutions for healthcare and financial services enterprise customers. * New and enhanced multifunction printers ideal for the office environment and featuring ePrint capabilities. * HP ePrint Enterprise – For businesses with on-the-go workers who need to access and use content from their smartphones, HP ePrint Enterprise improves productivity through mobile access to print without data ever leaving a secure network. * HP Access Control Printing Solutions – For businesses that need a more secure, less wasteful print environment, HP Access Control – recently enhanced with new features – delivers cost controls, security functions and simple operation. * HP and TROY Secure Document Printing Solution – For businesses that need to print high-value, black-and-white documents with antifraud security features using plain paper and their enterprise-class HP PCL5 LaserJet printers and multifunction printers (MFPs). SMBs also benefit from downloadable solutions that further streamline document workflows and processes. * The HP Web-Connected Business App, accessed through a printer’s touchscreen, is designed to increase productivity with improved document workflows. The latest business app from HP includes the ability to print business forms through the DocStoc app. * The HP LaserJet MFP Wizard Console is a set of tools on select HP LaserJet MFPs that help SMBs manage and streamline their document handling processes. The wizards make it easy for users to set up send-to-email and send-to-folder workflows to efficiently create and distribute scanned documents. The HP Solutions Business Partner (SBP) program combines a broad imaging and printing portfolio, a visionary platform strategy and document management expertise with solutions from a wide range of the industry’s top software partners. * Hyland joins the HP SBP program as a Platinum partner. HP will be selling Hyland’s solution OnBase, a comprehensive enterprise content management suite. The two companies will streamline processes by capturing electronic and paper-based documents, integrating that information into front- or back-end business applications, automating workflows and enabling instant access to data stored in OnBase’s secure and centrally managed repository. * Nuance also joins the HP SBP program as a Platinum partner and offers a document capture solution at the scanning device that securely integrates with an intuitive user interface for performing on-demand capture tasks. HP will resell Nuance eCopy ShareScan. * Omtool, a current member of the HP SBP program, is introducing new workflow components including Image-In Connect, Image-In Queue and AccuRoute Extensions for Microsoft SharePoint. With these HP and Omtool Document Capture and Workflow Solutions, documents can be integrated with line-of-busi­ness applications, managed personally in workflow queues and centrally stored. * Hyland, Nuance and Omtool will support HP Open Extensibility Platform (OXPd 1.6). HP also has enhanced HP Access Control with new features, including opt in/out rules, global settings and upgrades to critical backup configurations, sorting and reporting. The solution delivers print authentication, auditing, authorization, accounting and secure pull printing functionality for enterprises. * HP Distributed Workflow Solution for Healthcare, in conjunction with Hyland Software, streamlines and automates paper-based processes to ensure accurate document capture and provide immediate access to those assets across an organization. * HP Exstream for Healthcare Providers enables providers to reduce hospital readmissions with personalized, easy-to-understand patient communications. Delivered in the patient’s preferred language, delivery channel and format, these clear, customized communications can help reduce readmission. Eight of the top 10 financial services companies in the Americas are HP Managed Print Services (MPS) or solutions customers. HP also enhanced its HP MPS Multi-vendor Services and HP Universal Print Driver (UPD) 5.3. HP additionally announced the HP Exstream Makeover: Customer Communications Edition, where enterprise customers can enter to win a $500,000 software and services package to help improve the quality and efficiency of their customer communications activities. HP’s robust device portfolio now includes two new networked HP LaserJet MFPs that provide SMB and enterprise customers features such as HP ePrint to streamline workflows. HP FutureSmart firmware dramatically improves fleet management through a single consistent code base that allows new features to be added to an entire fleet via firmware updates. These updates can save money by increasing the functionality of an existing printer fleet and delivering a foundation for next-generation, web-connected capabilities. * HP LaserJet Enterprise M4555 MFP series – A secure, easy-to-use mono MFP designed to help businesses increase efficiency and improve document workflow. The device features several enterprise tools, including HP Web Jetadmin for monitoring and management, HP FutureSmart firmware and HP’s Open Extensibility Platform to simplify the development and deployment of HP and third-party solutions. This product is currently available in certain regions including the United States and Canada. * HP LaserJet Pro M1217nfw MFP – HP’s most affordable wireless LaserJet MFP includes print, scan, fax and copy functionality, as well as Ethernet and wireless networking standard. This new product also features innovative technologies such as HP Smart Install, which enables CD-free driver installations in as fast as five minutes, and HP Auto On, Auto Off. Additional information about HP’s new imaging and printing solutions and devices is available at www.hp.com/go/businessprinting2011.